Why aren’t solar powered E-Scooters practical? Often, ideas that are a toss of the dice are worth trying. But when you prototype it in your garage or workshop, and it comes out looking like either of the 2 above, then the inventor needs to have the right frame of mind to keep it as a working prototype and improve on it until it becomes a usable product, NOT market it and hope some fools out there might bite. The version from Solar Electric Scooters Inc. weighs 29.5kg (thats about the weight of more than 2 similar powered e-scooters). And if you can handle the weight, try finding a car trunk space that will allow you to fit it inside. Even if you have a truck with a tailgate, you will need a ramp to push this titanic of scooters up. A solar powered concept is romantic and purist but there is a reason why our cars are not wrapped in solar film yet. The Coolpeds version which they just released for preorders is significantly more compact and lightweight. However, it just defies the whole logic of maximizing solar energy conversion. While standing, at the angle that the cells are positioned, almost 100% of the any incident solar rays will be reflected. We can’t imagine there to be any energy absorption at all. Even if folded down, with the 2 solar panels facing skywards, charging time might take significantly longer than plug-in charging as there are too many factors affecting energy efficiency. Furthermore, isn’t the whole point of having a lightweight e-scooter means you can bring it wherever you go? That would rarely mean being outside in the hot sun for hours waiting for your unit to charge up. Back to the drawing board we say. Next: Next post: Can your hub motor be free-wheeled? 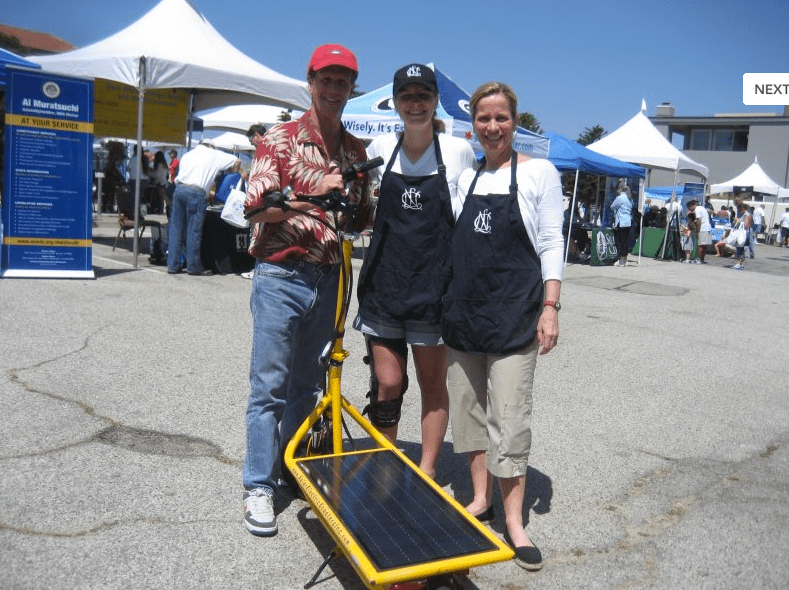 It is a good idea to use solar power to cut down bills in some areas but will the scooters that use the solar panel built as pictured in this article be okay to use for performing scooter tricks? Also, leaving the scooters in the sun to get them charged every time might not be a good idea too.